Read Between the Ps: Brand-age! A nice article came in March on branding at brandchannel.com. 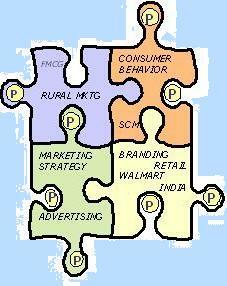 It emphasizes on the significance and relevance of branding in the market. A set of questions need to be asked, to introspect your brand strength and worthiness, according to Kim Castle. 1. Am I really passionate about what I am doing with my business, service or product? 2. Do I have a big vision of my business, service or product? One should have a plan for the near future, but make sure that the sum of parts is the long-term perspective of the entire business. Achieving small targets is not your goal, it is just a means to achieving the goal ! 3. Is my product or service a real benefit to lots of customers? Is the target customer of critical mass? 4. Am I prepared to surround myself with a team or the knowledge to accomplish the business success that developing my business as a brand delivers? 6. Is there a message which my business, product or service can connect with, and which can be "effectively" communicated to the consumers? 7. Does the message/communication cover the entire set of products/services I plan to include, without any particular set being overlooked or overemphasized? Also, make sure that the message follows my work, and not my work follows the message ! …Bottles’ necks : Juicy Losses..
Another A of Airlines ….its Achilles Heel ! Zee Network ..Neat work ? Namaste Wal-mart.. Retail Indian Inc.